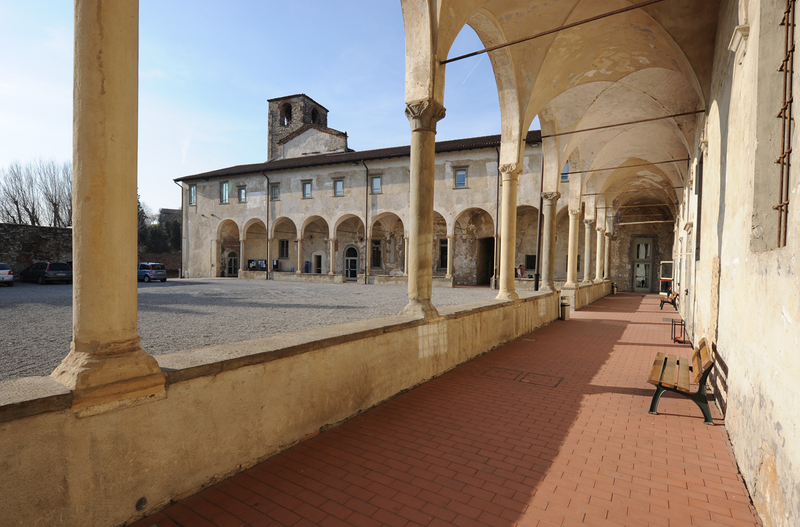 The Department of Human and Social Sciences and the Aula Magna of the University of Bergamo are located in Sant'Agostino. Fun fact: The urban renovation that lasted until the XVI century led to the boundary wall. To build it, numerous historical buildings (expecially churches) have been destroyed, except Sant'Agostino’s church. From the lawn in front of the Church you can head to the Viale delle Mura or the climb to the Upper Town (through via Porta Dipinta). Likewise, the quick descent to the Lower Town will take you to via San Tomaso, the art street, where you can visit two splendid museums: Accademia Carrara and GaMeC. 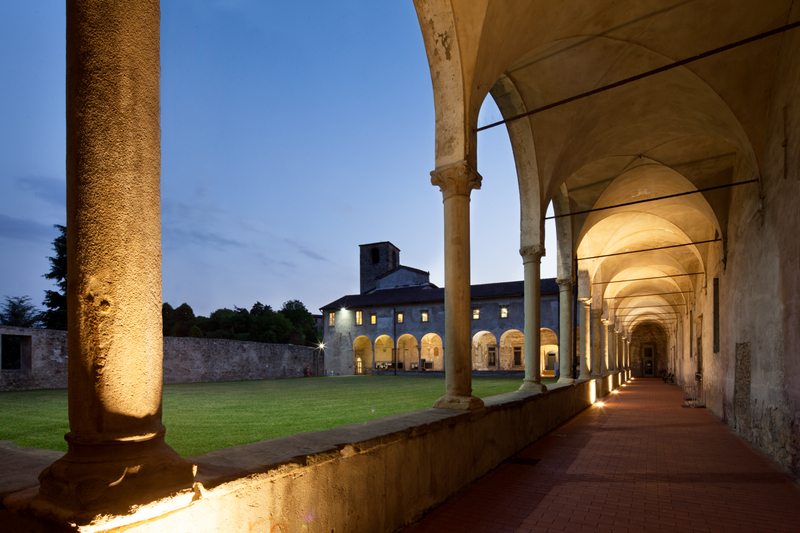 From the church you can easily reach the canteen on Via San Lorenzo, and a lot of other restaurants. Take BUS Line 1 / airport to Porta S. Agostino stop. BUS Line 1 - From the train station to Città Alta (Colle Aperto) the bus has a frequency of 15 '. Bus Line 1C (from Grassobbio). BUS Line 3 - leaves from the Bergamo Hostel (located in Monterosso). The complete map of the ATB links is available at this link. 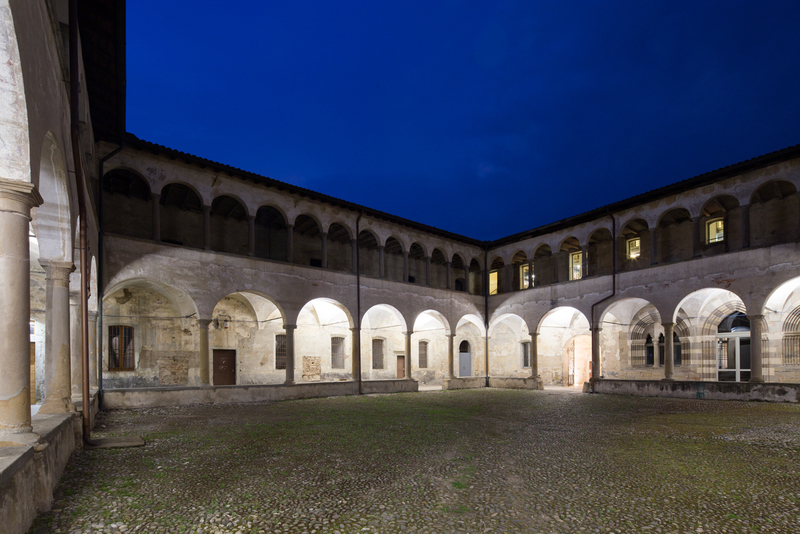 The great church, now Aula Magna of the University, was once part of the monastery of the Eremitani in Sant'Agostino. Founded in 1290 by the bishop Roberto Bonghi, consecrated in 1347 by the bishop Bernardo Bernardi. The splendid frescoes, recently restorated, date back to the thirteenth century, and the whole building was only marginally affected by the great fire of 1403. On that occasion, the monastery in the north of the church was destroyed. 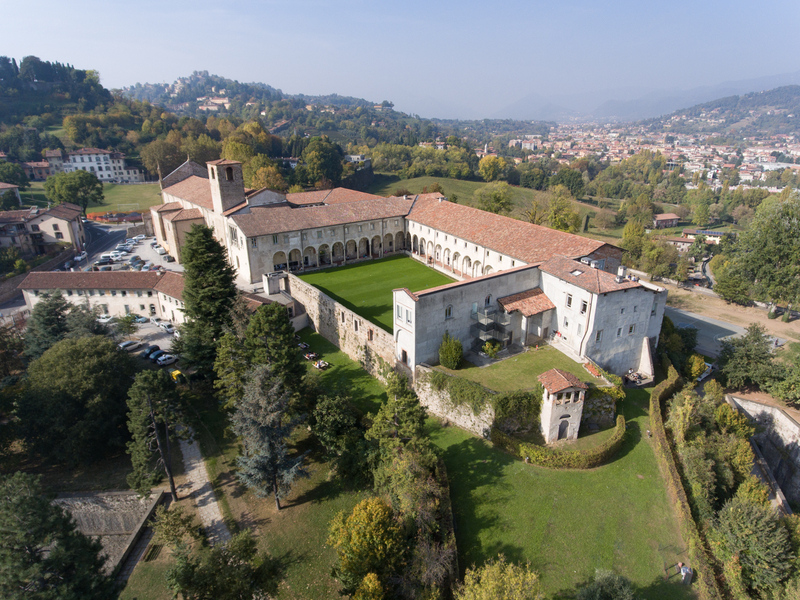 On 1442 the comunità degli Agostiniani of the Convent of Bergamo joined the Osservanza di Lombardia, a newborn, local, religious order: this new partnership led to a wide buildings renovation. Nowadays we can identify some late-fifteenth century elements (the first porch in the courtyard), next to the previous fourteenth-century parts (for example the trifore and the portal of the main hall). After the end of religious orders, in the nineteenth century, church and convent became seat of barracks and weapons depots; the frescoes were then hidden behind a brick wall curtain, which was removed only in the fifties and sixties of the twentieth century, within a restoration directed by Mauro Pellicioli. 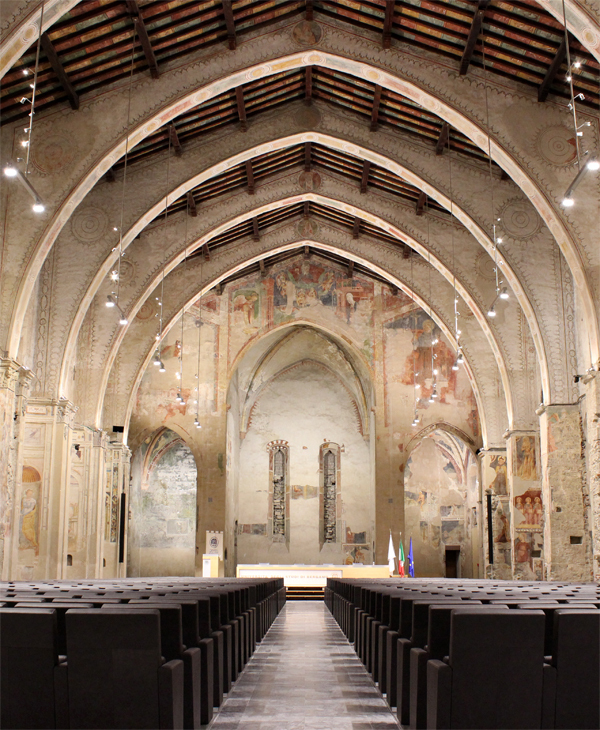 In 2001 the cloisters were used as campus of the University of Bergamo, for scientific classes; in 2015, after the main nave restoration, the former church became Aula Magna of UniBg. 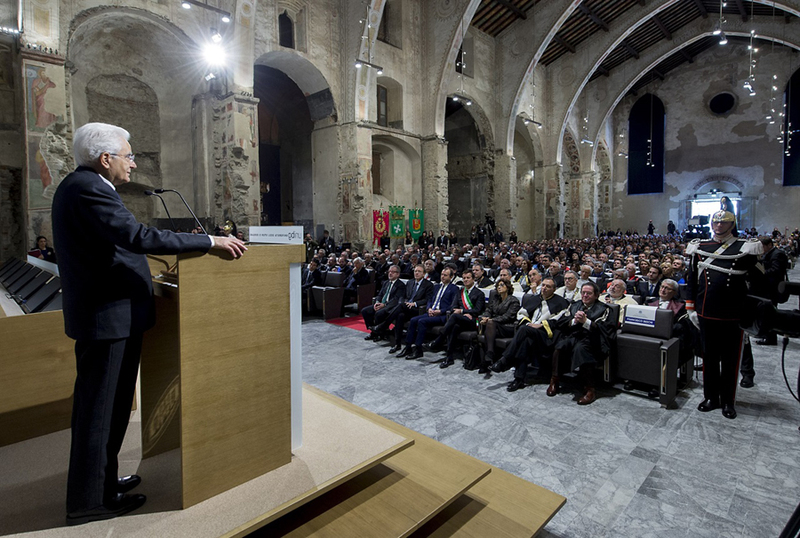 In 2018 a further restoration returned most of the interior frescoes of the church.